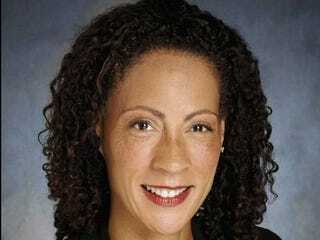 CNN announced today that Janet Rolle will join CNN Worldwide as executive vice president and chief marketing officer. In her previous role as executive vice president and chief marketing officer at BET Networks, she led brand strategy and marketing efforts, including on-air promotions, off-channel and digital marketing, affiliate and trade marketing. She directed a redesign of the BET network on air, as well as comprehensive, multiplatform marketing campaigns for the brand's signature successes, including BET's history-making scripted series The Game, the BET Honors and the BET Awards, for which BET received multiple awards. "I am absolutely thrilled to be joining the stellar CNN team at this important time in the evolution of this venerable and venerated brand," said Rolle. "I hope that my contributions will lead us to even greater success as we embrace the challenges and opportunities to serve our vast audiences around the world with news and information relevant to their lives that will meaningfully shape their perceptions of our world." Before joining BET Networks, Rolle worked at AOL as vice president and general manager of AOL Black Voices and AOL Women's and Lifestyle Programming from 2005 to 2007. In this role, she oversaw editorial programming for AOL Black Voices and the 10 websites in the lifestyle category. Read more at Target Market News. In other news: Aristide to Return to Haiti.